April 30 | Eat and Drink For Charity at Taste of Huntington Beach With Over 50 Restaurants! - EAT WITH HOP! 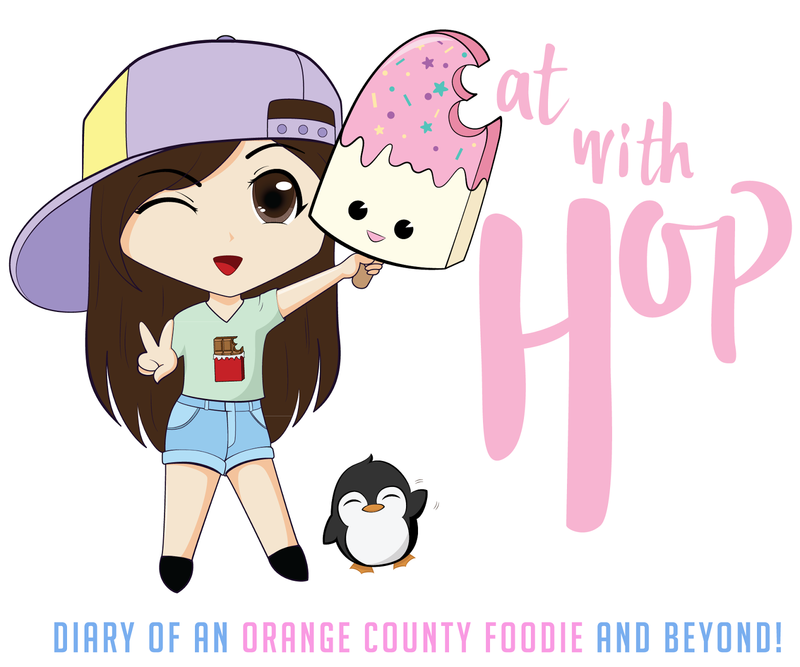 Home / CA / EVENTS / FEATURE / HUNTINGTON BEACH / ORANGE COUNTY / April 30 | Eat and Drink For Charity at Taste of Huntington Beach With Over 50 Restaurants! April 30 | Eat and Drink For Charity at Taste of Huntington Beach With Over 50 Restaurants! GET READY FOR A FUN FILLED AFTERNOON AT HUNTINGTON BEACH! 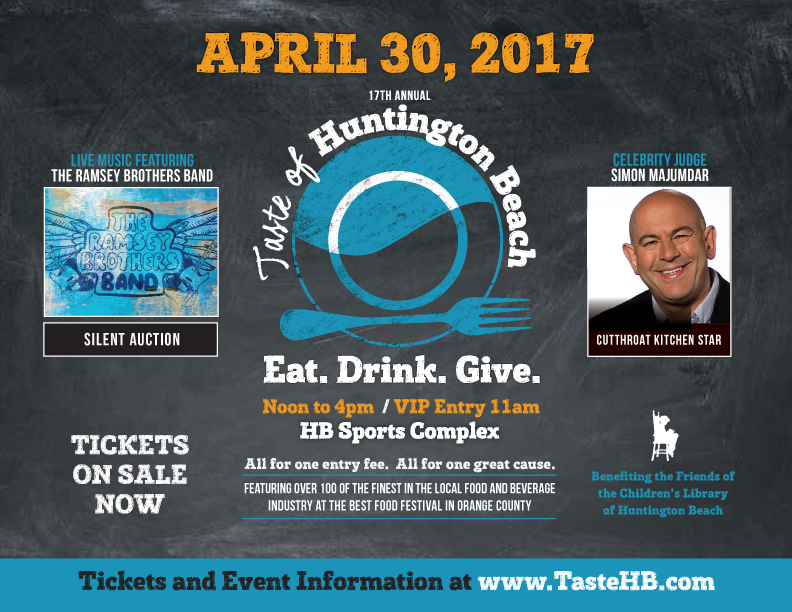 The Taste of Huntington Beach is happening again this year on Sunday, April 30, 2017! It's going to be a fun event at the HB Sports Complex and there will be a lot of great restaurants participating! Best of all, proceeds benefit the nonprofit Friends of the Children’s Library! Simon Majumdar from CutThroat Kitchen will be there! Food Network TV personality Simon Majumdar will also be there as the celebrity judge and host. Who is Simon, you're wondering?!... Simon, who appears as a judge on Food Network shows including Cutthroat Kitchen, Iron Chef America, The Next Iron Chef and Beat Bobby Flay, is also an author and food and travel writer! He Simon has written three best-selling books “Eating for Britain,” “Eat My Globe,” and “Fed White and Blue.” He first participated in the Taste of HB as guest judge last year. fun atmosphere at the park! all proceeds benefit Friends of the Children’s Library! The Taste of Huntington Beach is a one-price, all-inclusive event highlighting the outstanding food and beverage companies in our vibrant community. Attendees enjoy unlimited samples and sips from stellar culinary establishments, California and boutique wineries and premium and craft breweries. The Taste also features a silent auction and raffle, plus live musical entertainment provided this year by popular Huntington Beach band The Ramsey Brothers. “We are so excited to be a part of the Taste of Huntington Beach! We’re a local band that plays classic rock and we are stoked to be a part of such a great community event that benefits our Children’s Library!” said Don Ramsey. You can also buy them at the Children’s Department of the HB Central Library (which is a beautiful library btw!). Tickets are around $60 - $70 depending on if you drink alcohol or not. All proceeds benefit the nonprofit Friends of the Children’s Library (FOTCL). Since 2001, the Taste of HB has helped the FOTCL raise more than $500,000 for the Children’s Department of the HB Public Library.